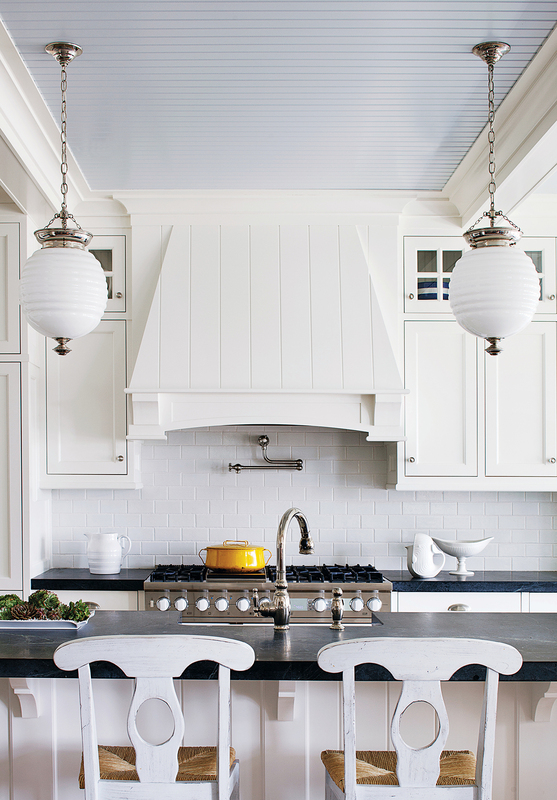 The beadboard ceiling, deep crown moldings, and custom range hood create a harmonious look. 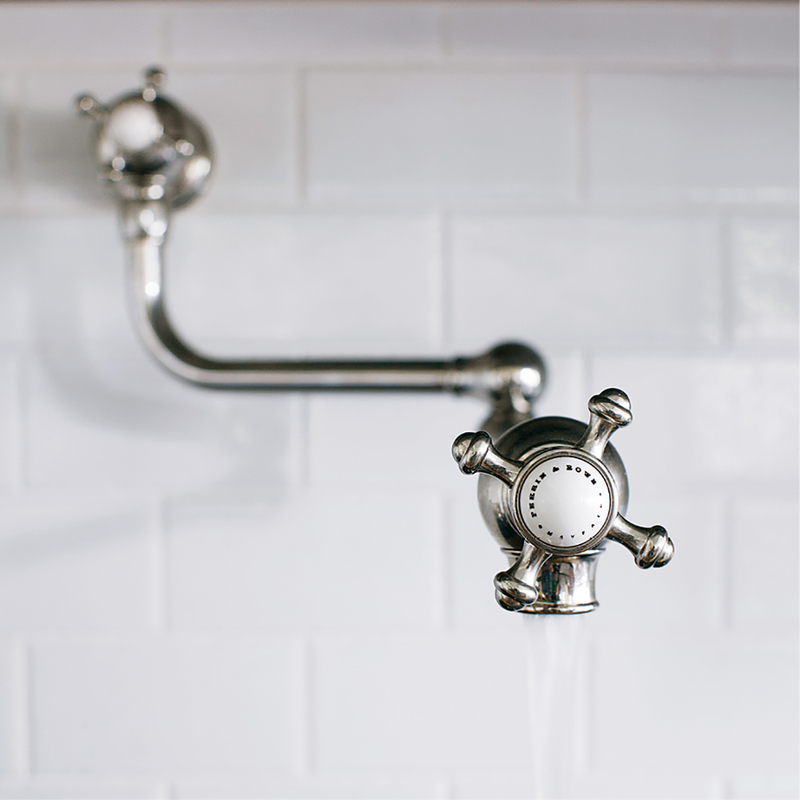 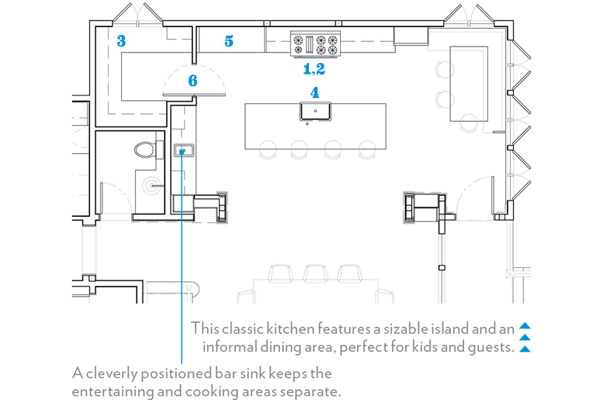 These stoveside faucets, commonly found in commercial kitchens, are becoming increasingly popular among home chefs. 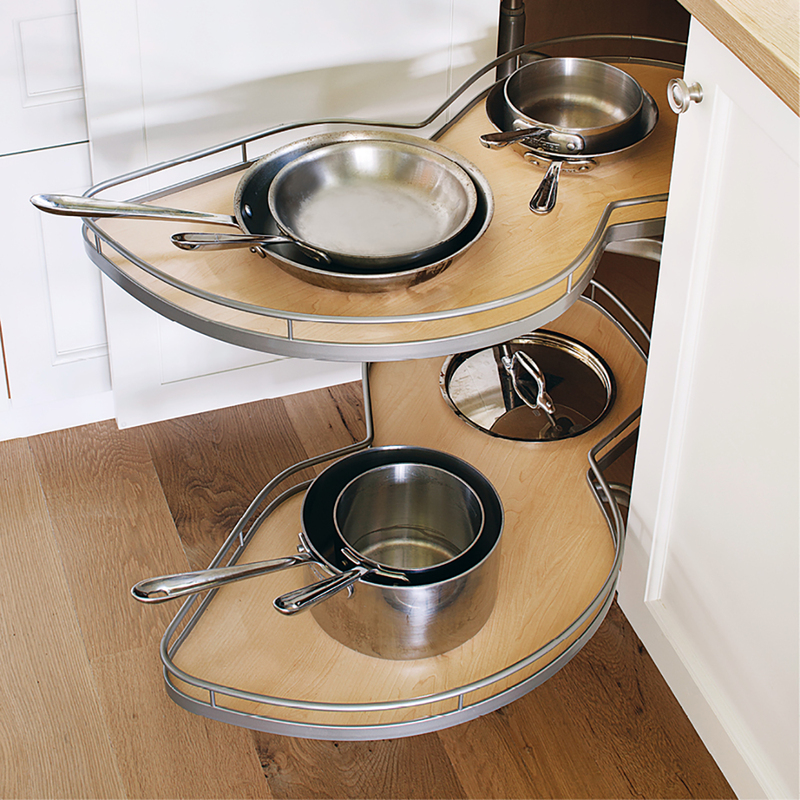 Clever cabinet inserts let the designer maximize every square inch of space. 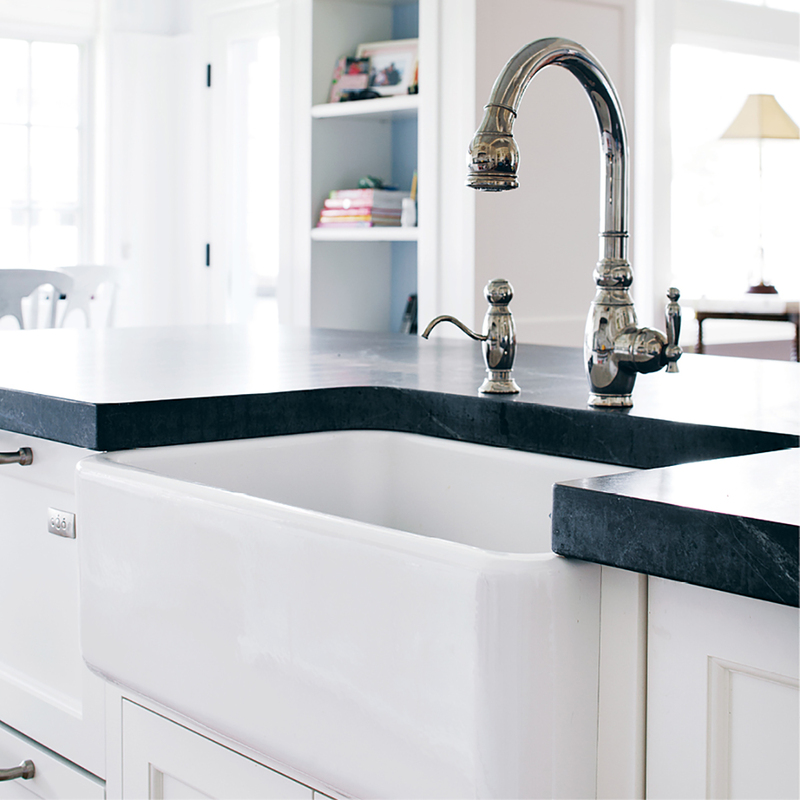 An apron farmhouse sink matches the upscale French-country aesthetic. 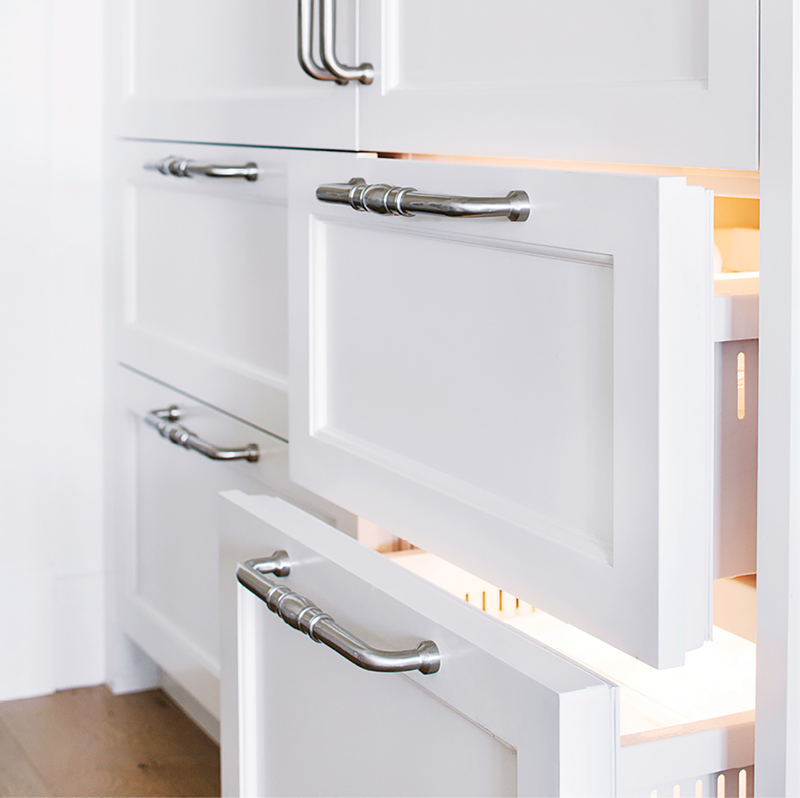 Smaller freezer compartments reduce energy use and work well with the scale of the kitchen’s cabinetry. 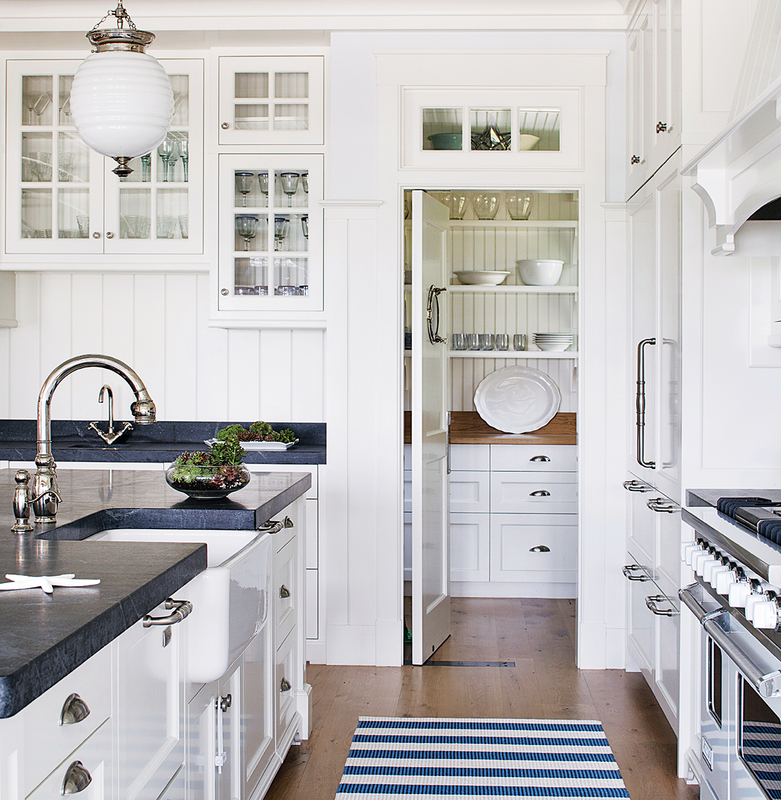 Serving pieces find a home beyond a swinging door fitted with a ship’s porthole.